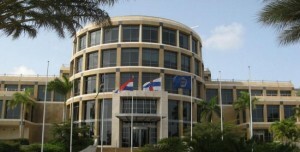 WILLEMSTAD - The newly published annual report of Unusual Transactions Reporting Center (MOT) showed that the number of unusual transactions in 2012 increased significantly compared to a year earlier. There were nearly 40 percent more transactions reported. This increase is not only assigned to the new system used by the MOT, which makes reporting unusual transactions more effectively, but also to the increasing number of reports from the casino systems, customs, local and offshore banks and exchange offices. The figures for 2013 are not yet known.